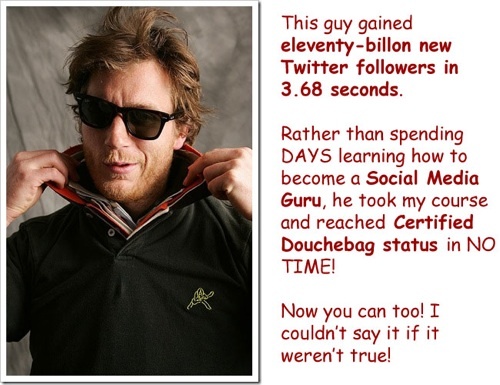 Learn how to increase your Twitter followers by eleventy-billion in 3.68 seconds at The Complete Social Media Douchebag. Tip #268: Every other tweet should be about how people can increase their followers. They’ll thank you for it!